A compact car like the 2018 Hyundai Elantra is a great way to get the absolute most value out of your money. Whether you are talking about the affordable starting price, great fuel economy, or any of the features that you will find inside and out, going compact should be your first choice for a new vehicle, not an afterthought like it is for many people. One look is all that it will take, or even a test drive, and you will see why so many people choose the Elantra over the competition. 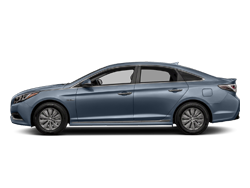 To make things even better, the 2018 Hyundai Elantra is offered in a remarkable 6 different trim models that are sure to make you smile. 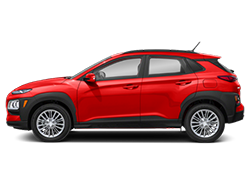 From base to Limited, there is sure to be the perfect trim for you waiting on the lot of Doug’s Hyundai of Lynnwood. Each model gives you something special to make it personal to you. Not only that, each model gives you access to a plethora of standard and available features that you just won't find anywhere else. Well thought out and functional is exactly what the 2018 Hyundai Elantra has to offer. Inside of the Elantra, you will get to experience a better way to ride or drive. Starting with the Bluetooth hands-free phone system, cruise control and a 60/40 split-folding rear seatback, there is definitely no shortage of functional and well thought out features inside the new Elantra. But why would we end it there when there are so many other reasons that your next compact car should be an Elantra? When it comes to cutting edge technology features, the 2018 Hyundai Elantra is definitely not behind the power curve; it is well out in front of it. Among the many technology and infotainment features that you will find inside are a remote keyless entry system with an alarm as well as a AM/FM/SiriusXM*/MP3 6-speaker audio system with USB input that make listening to your music on the go a breeze. Afterall, what is a road trip without some great music to go with it? Certainly, not much of one. Another way that Hyundai makes your summer road trip more enjoyable is by giving you a comfortable place to spend time, mile after mile. The 6-way adjustable driver seat including height adjustment for both driver and passenger makes comfort standard throughout the cabin of the Elantra. Add in a well-designed and functional driver cockpit with everything that you need within reach, and you are going to wonder why you hadn't checked out the Hyundai Elantra before. Just like the interior of the 2018 Hyundai Elantra, the exterior serves up some pretty remarkable features of its own. After all, when you are looking at a new Hyundai, there is no shortage to the features that you’re sure to want and love. 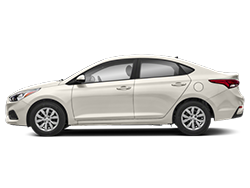 The Elantra features sleek, flowing lines that blend seamlessly into the well thought out and bold trim that makes it stand out from the crowd. With so many people choosing Hyundai, why shouldn't you? Take a closer look at a few of the exterior features that this vehicle has to offer, and you will be a loyal customer for life. With all the focus on inside technology, it can be too easy to overlook the exterior technology features that make your drive just a little bit better and a whole lot safer. Probably the most notable of these is the Dynamic Bending light that moves your headlights with you as you turn. That means more light on the surface of the road where you need it and a lot less light where you don't. You won't find features like these anywhere else. The 2018 Hyundai Elantra is really changing the way we think about communicating with our vehicles. The Elantra features many game-changing remote features that make owning a new Hyundai fun. For example; take advantage of the Blue Link smartphone or smartwatch app and Amazon Echo to remotely start your car, set the climate control to heat or cool the interior, as well as to defrost the windshield. That means that you have more control over your vehicle even if you aren't inside of it. What's even better? You can even receive a monthly vehicle health report via email to let you know if there is anything wrong with your Elantra. Getting the color choice that you want and not having to settle for something that just doesn't catch your eye is a great way to get peace of mind from your new vehicle. 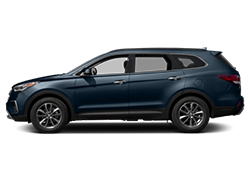 Once you have the make, model, trim, and optional features picked out, the color is the next most important facet. Whether you are looking for something big and bold, or simple and unassuming, the 2018 Hyundai Elantra has a color option for you. Take a look at a few of them, and get inspired to get out on the road in style this spring. 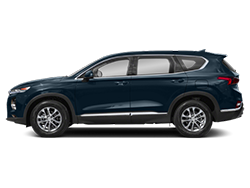 Not all colors are available at all trim levels. See dealer for details. While the interior of the Elantra is not quite as bold as the exterior in terms of color options, it is no less sophisticated. Choosing one of the available options will allow you to get that seamless transition that you are looking for without the headache of sorting through too many options that just don't make sense. If you are going to do something, do it right the first time, just like the interior color of your vehicle. This summer is a great time to find yourself behind the wheel of a 2018 Hyundai Elantra. This smart-looking, fun to drive car is the perfect getaway machine for that big road trip, weekend trips to the beach, or just generally enjoying your daily commute. Whether you are budget-minded or just looking for outstanding value, this is the car that you want. 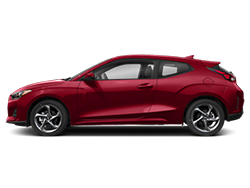 Compare it to a few of the others out there like the 2018 Mazda3, and make the right choice for your next new car this summer. When it comes to getting the peace of mind that can only be found from getting a great warranty from your car’s manufacturer, Hyundai does it right. That means that each and every 2018 Hyundai Elantra comes with an impressive 5 year/60,000 mile new vehicle warranty and a 10 year/100,000 mile powertrain warranty that has your back. You will only find a 3 year/36,000 mile new vehicle and 5 year/60,000 mile powertrain with the 2018 Mazda3. Another feature of the 2018 Hyundai Elantra that is sure to make you stand up and take notice is the more affordable starting price of the Elantra vs. the 2018 Mazda3. While the Elantra gives you more affordability and more value with a MSRP of around $16,950, the Mazda3 starts at $18,095. Additionally, the Elantra features 110.2 cu. Ft. of interior space compared to the Mazda3’s 108.7 cu. Ft. Choosing the Elantra gives you more room and more money left in your pocket at the end of the day. When the time comes to pull it all together and start test driving and shopping for your next new vehicle, Doug’s Hyundai in Lynnwood would like to invite you down to their lot to take a closer look at the 2018 Hyundai Elantra. This is the compact car that everyone will be talking about this summer, so why not get ahead of the trend at Doug’s? Great cars, great people, Doug’s Hyundai. Are you in the market for a compact car but are looking for something bold and different? We don't blame you. With so many options out there, it is easy to get bogged down with too little features or too high of a price tag. 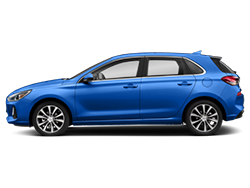 If you are looking for a great way to break out of the mold, then you need to take a closer look at the 2018 Hyundai Elantra and see why it leaves the 2018 Chevrolet Cruze in the dust. Among the things that people are most concerned about when it comes to shopping for a vehicle is just how many standard and optional features are available. Standard features are great because that means that you get more things without the added expense at the end of the day. 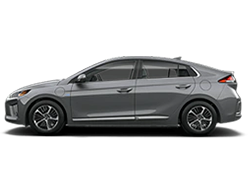 In terms of standard, the 2018 Hyundai Elantra gives you a cd player, 12v power outlet, a tachometer, and a larger fuel tank that are just not available on the 2018 Chevrolet Cruze. If you are the type of person that likes the ability to build the perfect compact car, the 2018 Hyundai Elantra has the flexibility to do so. With four different engine options, the Elantra gives you the right amount of horsepower and the right amount of fuel economy without the headache. 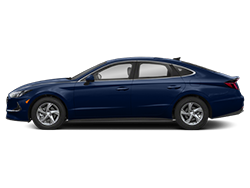 With only two engine options, the Cruze is a solid option but doesn't offer the versatility to personalize like the Elantra. 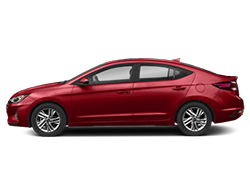 If you like the freedom to shop in a stress free environment for your next new car, and the ability to select from more choices, the staff at Doug’s Hyundai in Lynnwood would like to invite you down to their lot to see just how affordable driving your new 2018 Hyundai Elantra can be. No one does Hyundai better than Doug’s; stop by to find yours today. If you find yourself making the decision between bringing home the 2018 Nissan Elantra and the 2018 Nissan Sentra, the answer is easier than you think. While both are solid offerings, when you really dig into the heart of the matter, the Elantra gives you more features and more value at the end of the day. That means that you will love your new car from day 1, without having to settle for less. When it comes to available features, there is just no disputing that the 2018 Hyundai Elantra gives you more. Compared to the 2018 Nissan Sentra, the Elantra has it all. Available safety features like Lane Departure Warning, Lane Keep Assist, Hand-free smart truck, and many more features that make the Elantra simply better than the competition. Getting a great manufacturer's warranty is one way to ensure that your car is covered for the long run. While the 2018 Hyundai Elantra features a 5 year/60,000 mile new vehicle warranty as well as a 10 year/100,000 powertrain warranty, the 2018 Nissan Sentra only offers a 3 year/36,000 mile new vehicle and 5 year/60,000 mile powertrain respectively. Which one sounds like a better choice for you? 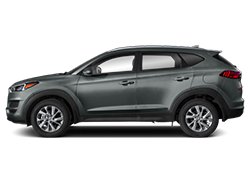 If you live in or near Lynnwood, Washington, you probably already know about Doug’s Hyundai. At Doug’s, you will find a great selection of vehicles sure to make you smile. Just like the fun to drive, affordable Hyundai Elantra. We are here to help you shop for the perfect vehicle in a relaxed shopping environment by giving you only the attention that you want. Come shop for your new Elantra with us today.